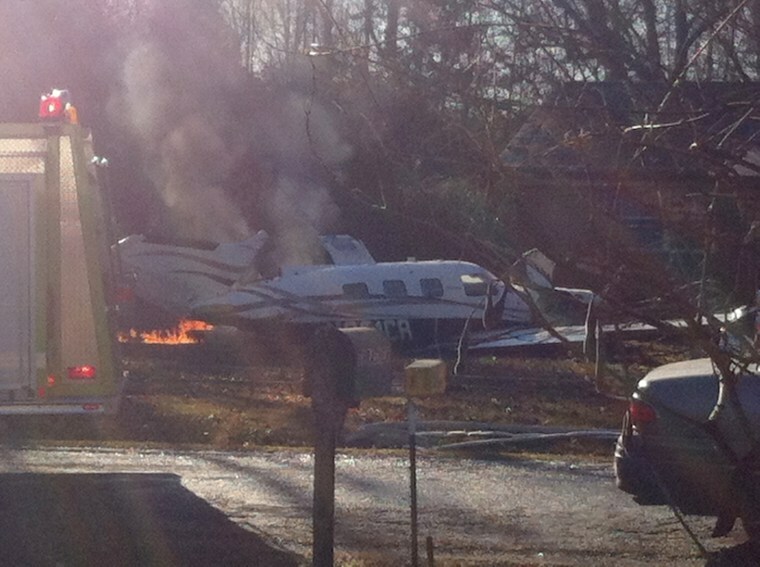 Two passengers were seriously hurt when a small plane crash-landed next to a home in northern Mississippi Thursday morning, according to local NBC affiliate WTVA. The plane went down shortly after takeoff from Roscoe Turner Airport in the city of Corinth, near the Tennessee border, investigators told the station. Four people were on board; two were airlifted from the scene with serious injuries. The other two were taken to a hospital for observation, according to WTVA. The cause of the crash-landing is under investigation.